The Burgundy Report called it a “precocious vintage”. Others have noted that the 2011 Burgundies could be something special. 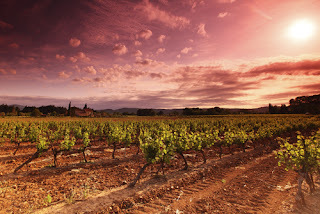 The buzz is good so far for this highly sought-after French wine region. It’s only the sixth time on record that harvesting in the region began in August. The first two weeks of the harvest saw some great weather. Most of the vineyards picked in the early mornings to avoid the heat. Cool grapes are the key to a great vintage, so grapes were packed immediately into refrigerated vans. So it looks like the Burgundy 2011 vintage will be small but excellent. Capital Vintners supplies the finest Burgundies to its customers and will look forward to getting hold of the 2011 vintage.